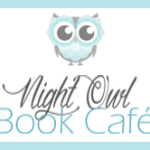 Welcome to Thirsty Thursday and Hungry Hearts, an original weekly meme hosted by Lexxie at (un)Conventional Bookviews. The idea of this feature is to share a quote with food or drinks that showed up in a recent read, as well as if it’s something you think you’d like or not. Mmmm maple-mustard glazed pork sounds delicious! It’s making me hungry too–and I just ate! Lol. You’re telling me! I could have totally gone for some of that LOL. Yum! Having just read a book with lots of tasty food, I can imagine this one would make me salivate, too. I haven’t read this author…but I must check her out. Thanks for sharing…and for visiting my blog.